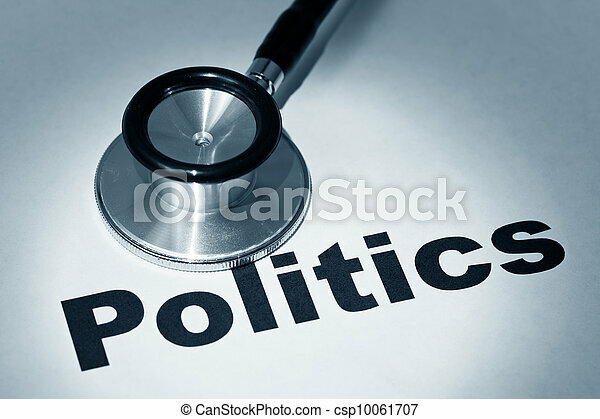 Stethoscope and politics. 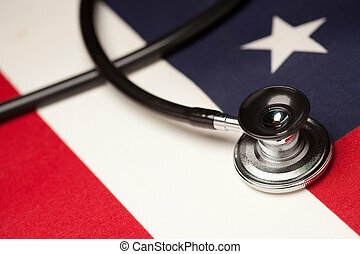 Stethoscope and email, concept of network security. 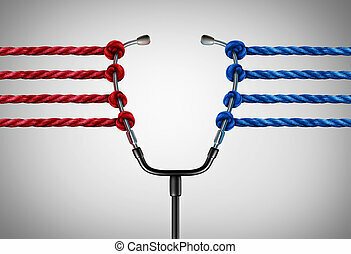 Medical politics and health reform challenges or universal healthcare system stress concept as a group of opposing ropes pulling on a doctor stethoscope as a medicine management symbol with 3D illustration elements. 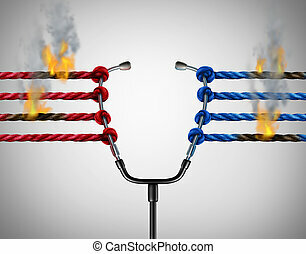 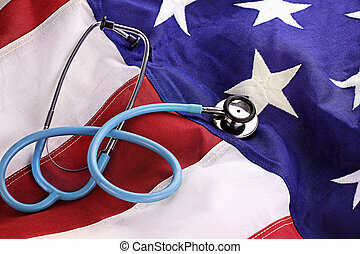 Health politics crisis and medical political legislation failure and medicine insurance reform challenges or universal healthcare system stress concept as a group of ropes on fire pulling on a doctor stethoscope with 3D illustration elements. 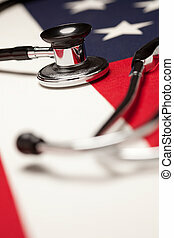 Stethoscope on American Flag with Selective Focus. 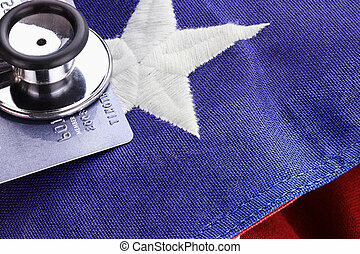 Stethoscope placed over American flag and credit card. 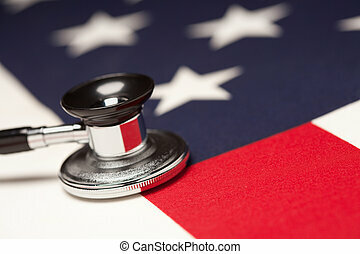 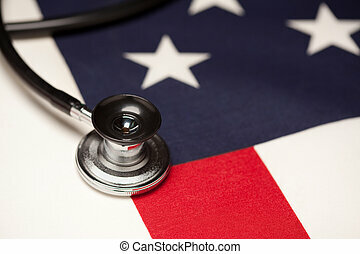 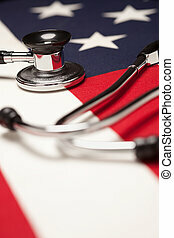 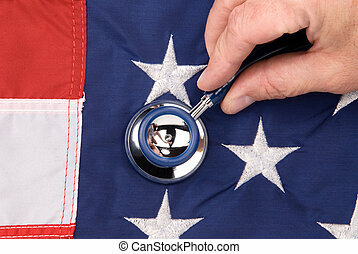 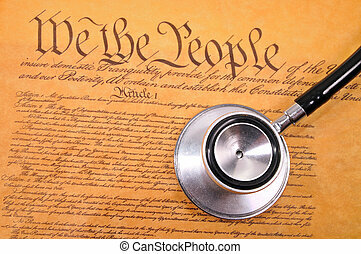 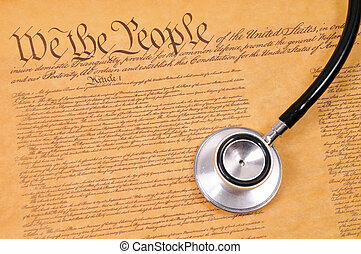 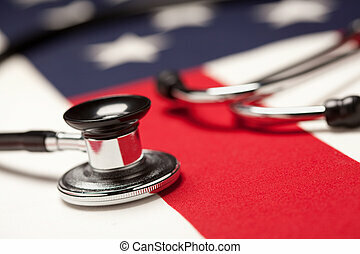 A doctor examins an american flag with a stethoscope. 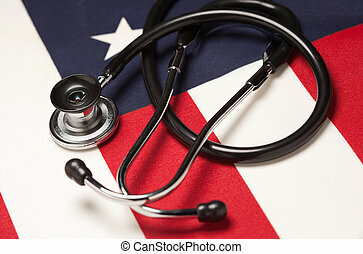 Image can be used for economic or medical inferences. 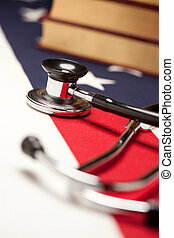 Stethoscope and Books on American Flag with Selective Focus.